Janji is a relatively new Boston-based brand specialising in stylish mens and womens running apparel. 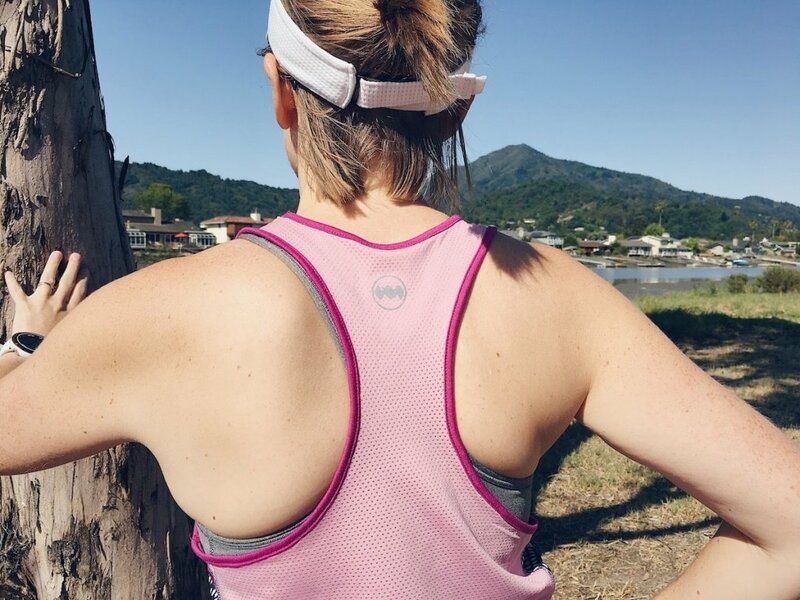 It’s always exciting hearing about new running brands, and we love that Janji donates a portion of their sale proceeds towards funding clean water projects in countries around the World. I have been running in the Janji Uganda Collection, specifically the ‘Compass Singlet in Shida Floral‘ vest, and the ‘Uganda Middle Short in Jinja Sunrise‘. 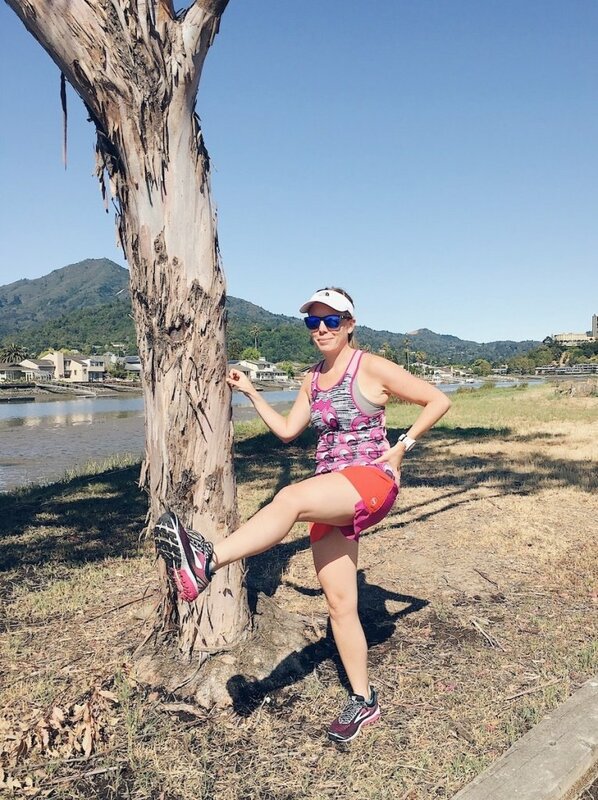 Janji’s running kit looks fab (I’m loving the pink and orange colours) and feels great – the fabric is high quality, and hangs well i.e. does not cling. It’s been through the wash several times and still looks like new. 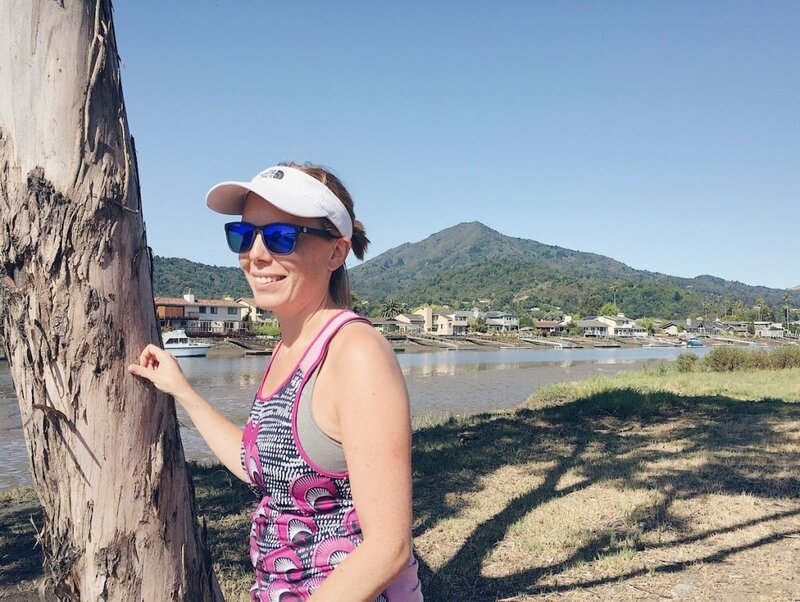 Lately my running wardrobe seems to be comprised mostly of very fitted, compression or form-fitting clothes, and I was really pleased to find that the Janji gear is not as close-fitting – I wanted some looser kit that would be comfortable to wear, vent well in the summer heat, and not cling to my body as closely as my other running clothes. 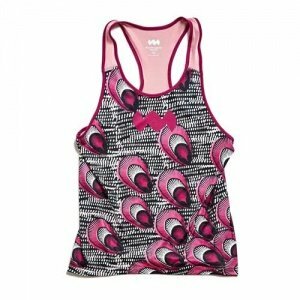 I love the vest length – just long enough that it does not ride up around my waist when I run. This, combined with the lightweight and loose fabric, means I don’t even notice I have it on. However, I would prefer that the vest had more fabric up top – it barely covers my chest, and therefore shows a lot of my sports bra. While this allows for good ventilation, it would be nice to have a bit more coverage. I’ve been on the hunt for some longer womens running shorts – partly from an aesthetic perspective (sometimes I don’t want to flash sooo much leg), and partly to reduce the risk of chafing in the thigh area – often an issue on a humid, hot summer day. Also, as I’ve noted in other reviews, running shorts are, in my view, only worthwhile wearing, if they have built-in underwear! 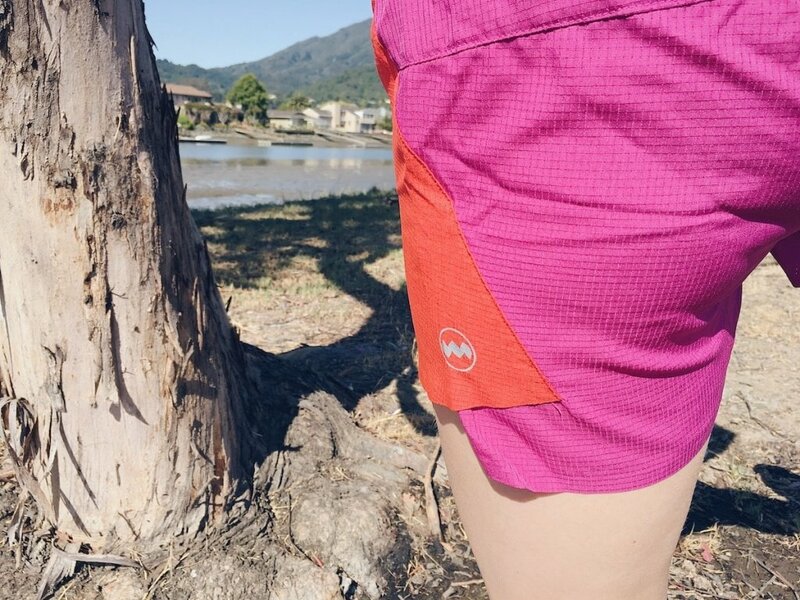 The Janji womens running shorts are not only longer in length than my other running shorts (such as my various Lululemon shorts), but they have built-in underwear, and a comfortable, wide waistband. 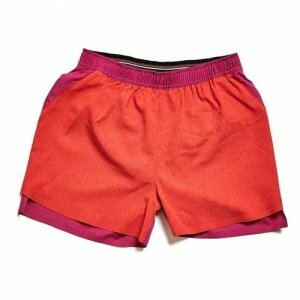 The shorts material is very light and quick-drying. It tends to puff out, so is perhaps not as flattering as other shorts, however when worn with the long vest, the combination looks and feels great. While the shorts do have a pocket in the back, it is not particularly useful. 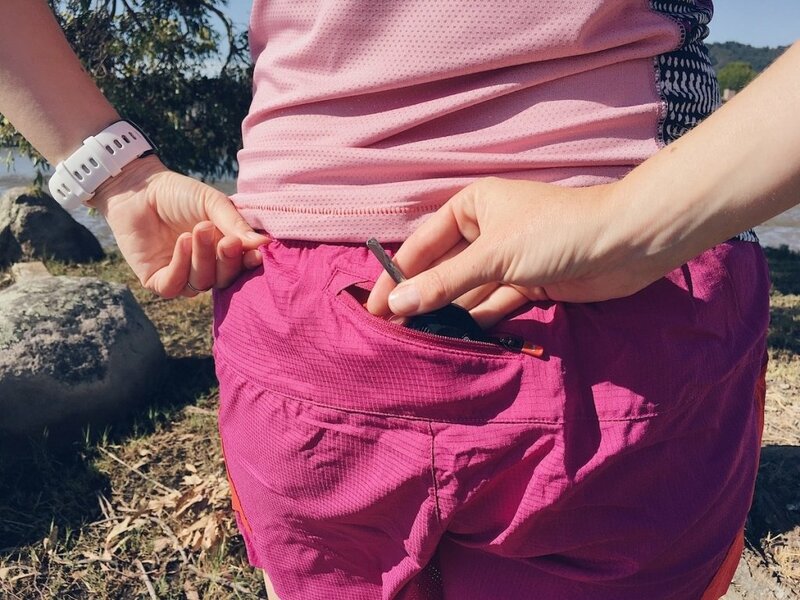 Generally, if I am using a pocket on my running shorts, it’s for a house/car key and my phone. Unfortunately, if I put my phone in the pocket, it hangs very low in the back of the shorts, and flaps about when I run. 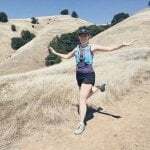 The Janji womens running kit is true to size and consistent with other running brands I have worn. Janji changes their styles and colours pretty frequently so if you’re after a particular style it’s best to snap it up while it is available in your size. Due to the frequent turnover of designs and stock, we advise getting Janji Running clothing straight from the source, the runjanji online store.